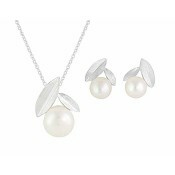 With its simple design, this stud earring and necklace jewellery set will find it's way into your heart. 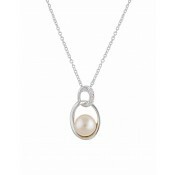 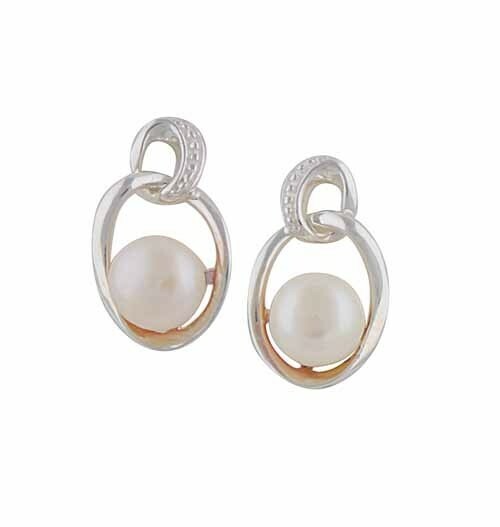 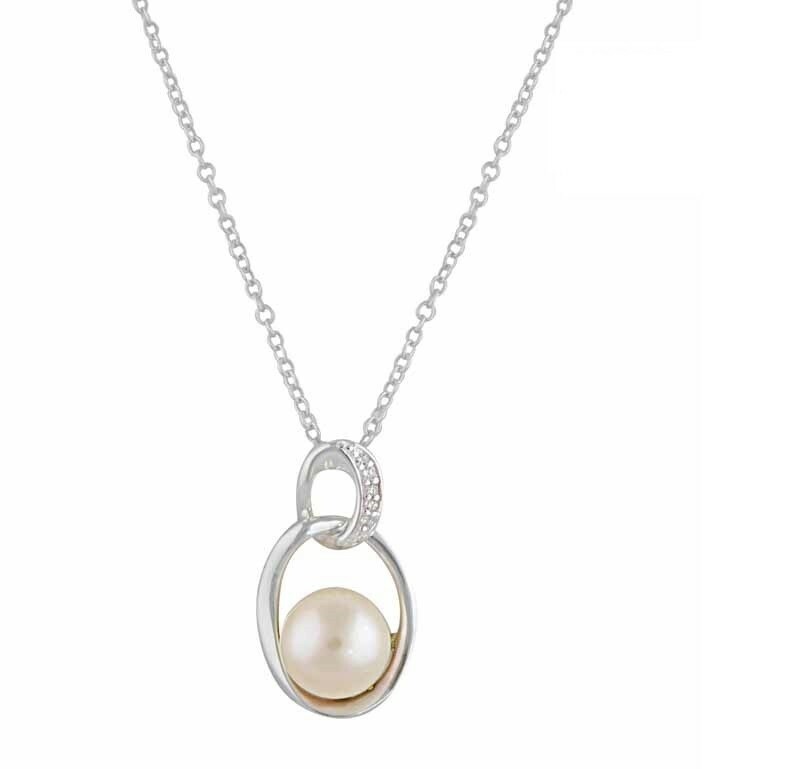 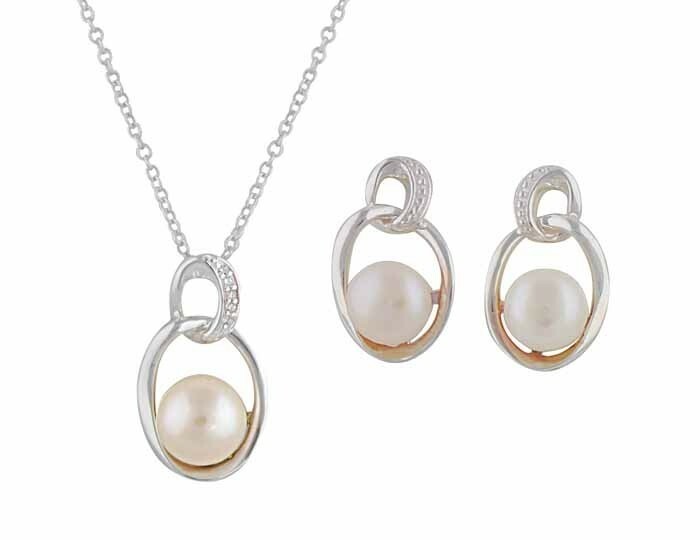 Made from sterling silver, it features two interlocked open circles - one encrusted with cubic zirconia and one nestling a Freshwater Pearl. 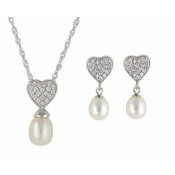 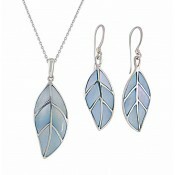 Timelessly elegant, both items sit gently against the body with a charm that you're sure to adore.